Profesní dům restaurant is situated at an attractive, historic location right in the centre of Prague, on Malostranské square by the Church of Saint Nicholas. In close proximity to it are other popular sights – Charles bridge, Nerudova street and Prague castle. 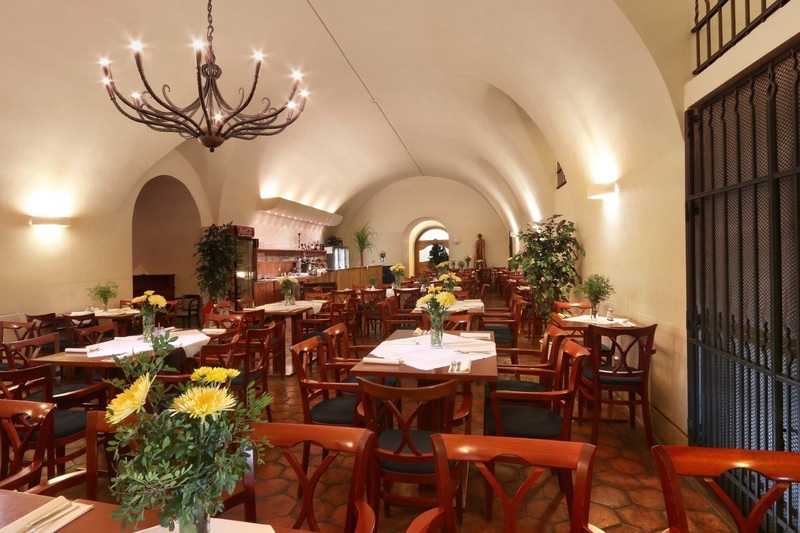 The stylish restaurant is situated in the building of Charles University Faculty of Mathematics and Physics, which used to be the base of Prague Jesuits, in a renovated, air conditioned cellar. 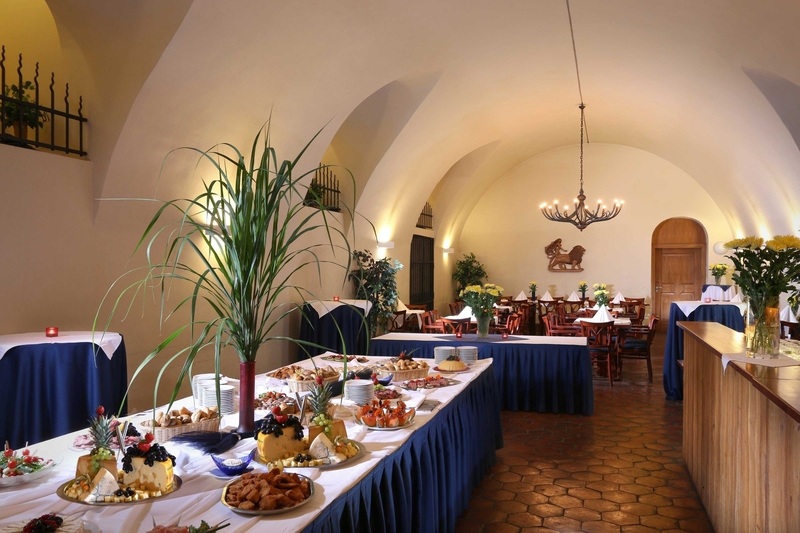 It has a capacity of 100 and a cosy lounge for 20 people, decorated with artistic works. 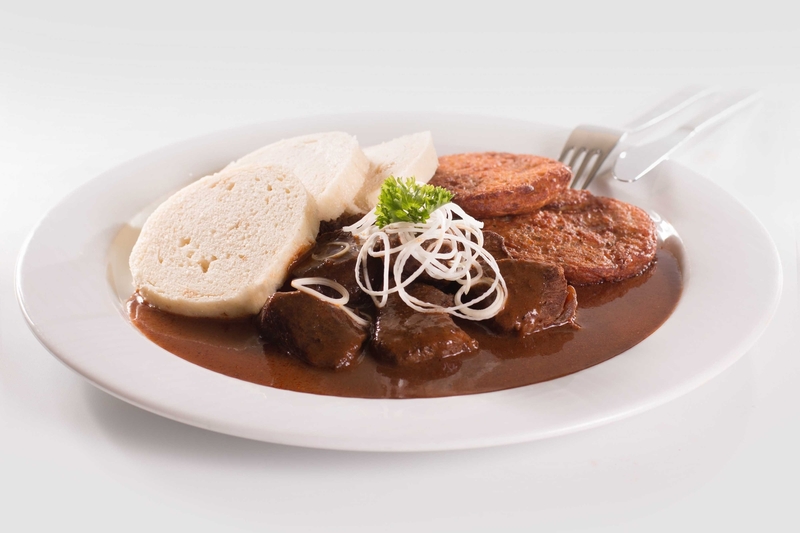 Every day, the team of chefs at Profesní dům restaurant prepares traditional Czech and Old Prague specialities as well as international cuisine to order. 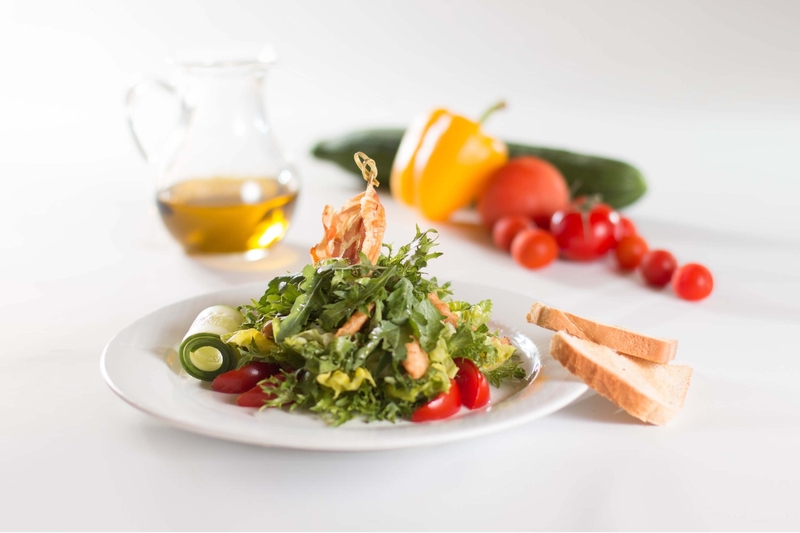 On weekdays here from about 11am we supplement our menu range with a lunch menu with 4-7 main courses costing from 80 crowns each. 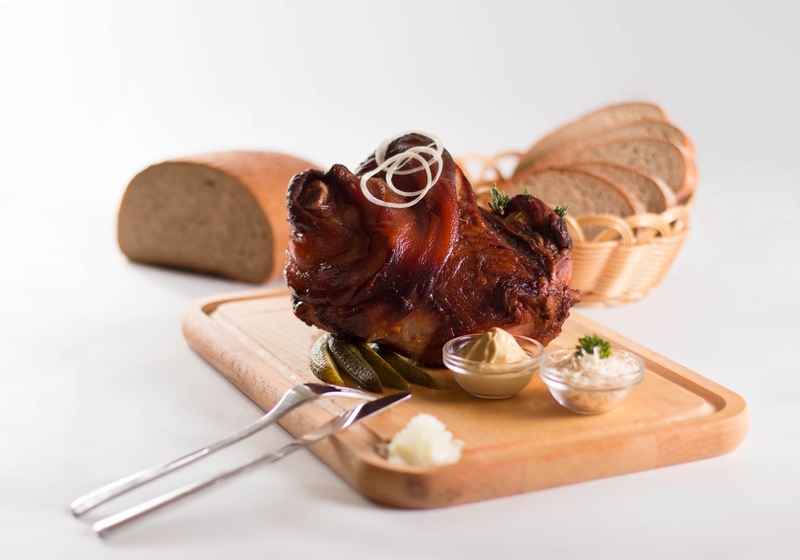 Whether you are on a walk through Prague with your family and want to eat well and inexpensively, or if you're organising a company event, graduation, birthday or other celebration - we are always at your service. 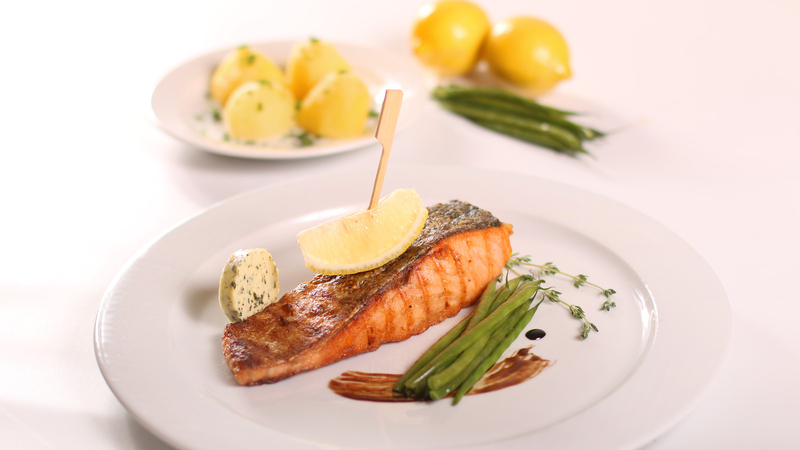 Due to the variability of the interior and the wide range of dishes we can adapt to anyone's wishes. We can arrange a program for social events in collaboration with the Santal agency. 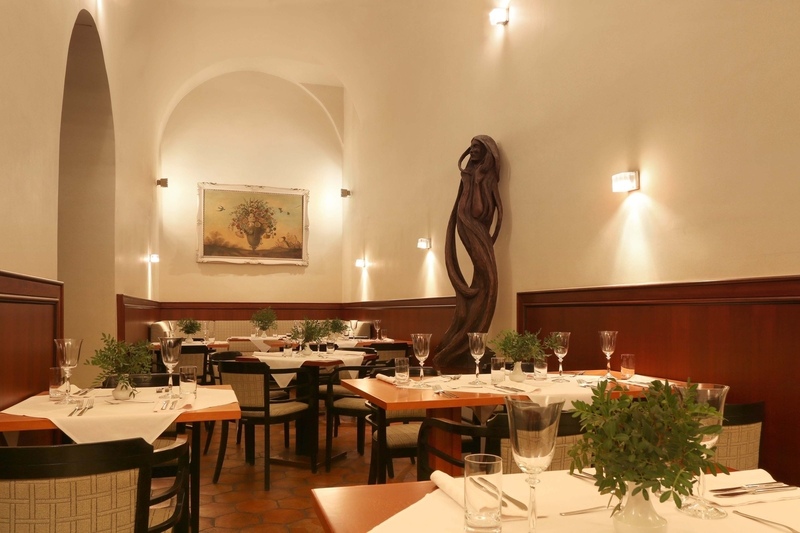 If you long for a pleasant, relaxing lunch or dinner in the historic centre of Prague, Profesní dům restaurant is the ideal place for you.